A great deal! Loads of helpful BFF discipleship library resources in one place. 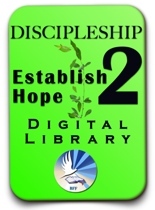 Buy or see what is on the Discipleship Libraries. The audio The Flow: Level #1 - Implementing the Flow, Nepali ( Nepalese ) translated from English , describes how to disciple new believers using The Flow discipleship materials. This podcast on The Flow is quite practical and illustrates how to sit down and talk to a new believer and help them grow. Listen to the audio below. The BFF Nepali Library coming soon! Check our BFF Store for details. This cloud or Library version will includes all our Nepali resouces, including videos, audios, handouts and mp3s. Oversea pastors can check on conditions for free materials - mention Nepali Library. Please click below to listen to the podcast. Study questions and other links are below. Have you ever discipled anyone at the new believer stage? What special needs do new believers have? What special hints on personally discipling others did you find here? If you are not yet discipling another, what holds you back? Ask an older Christian to help you (or help find someone) to work on those areas. If you are not yet discipling someone, start seeking the Lord in prayer for someone you could disciple at a basic discipleship stage (or even better someone you could sit in with and learn from). Next -> Listen to or view Session #5 of the seminar on Discipleship. Part 2 of Isaiah 50: The Art of Discipleship.